God of Loss is based on a song by the group Darlingside. My encounter with the song was through the paper cutting by Andrew Benincasa. You can see and hear God of Loss in his collection of video work online. 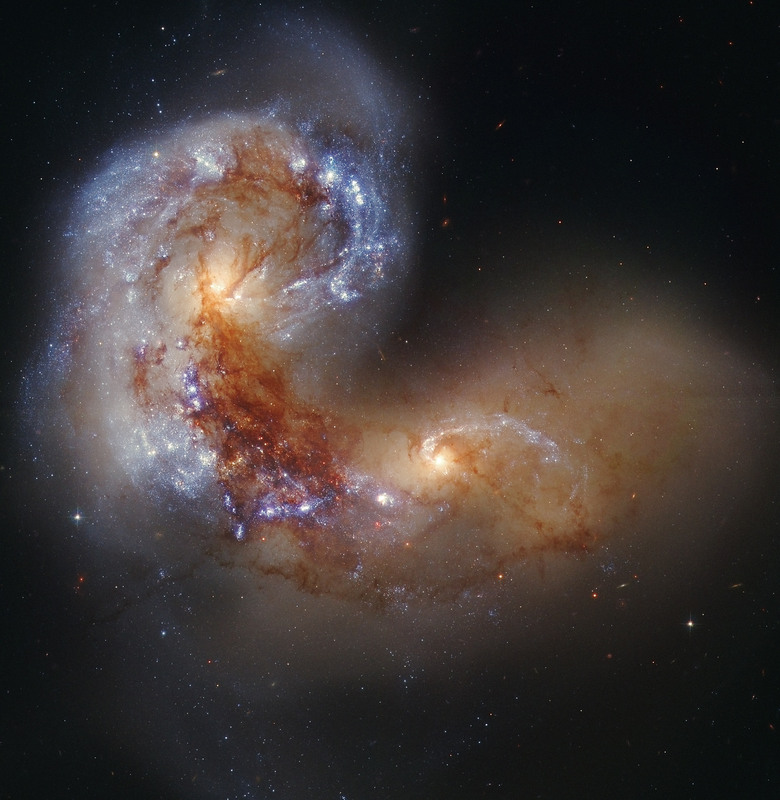 The painting takes on the colors of a NASA image of two colliding spiral galaxies twisting in space – it follows the galaxies from arm to arm, through a bright orange core, using iridescent pastels to represent the dusty density of its stars. It is a rare work for me, inspired by the captivating personal effect of a complete artwork – the simple folk tune, graceful lyrics, and the virtuosity of Benicasa’s cutting.